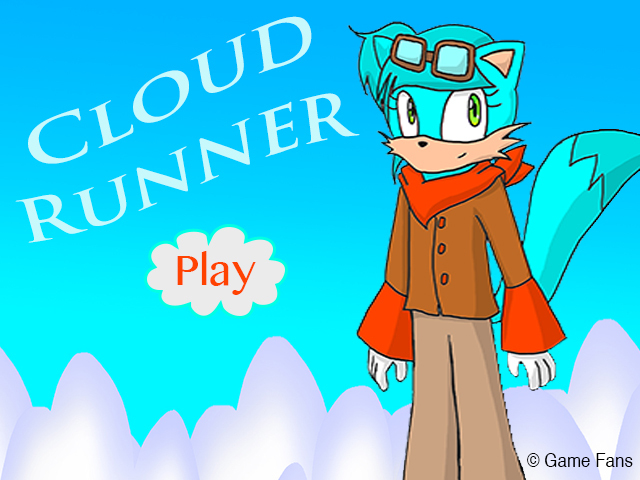 Cloud Runner was very interesting to make, and was very challenging. So a pilot crash lands in some clouds and her blueprints scatter around in the clouds. The programing was my favorite part. A phenakistoscope is a circular disk of paper that people used as a form of animation. A loop is a continuous cycle, and this makes it look like my guy is actually walking. The Flip book I'd have to say is my favorite, it is simple yet fun and I find myself making them all the time. This was kinda hard for me due to me not knowing much about the walk cycle. 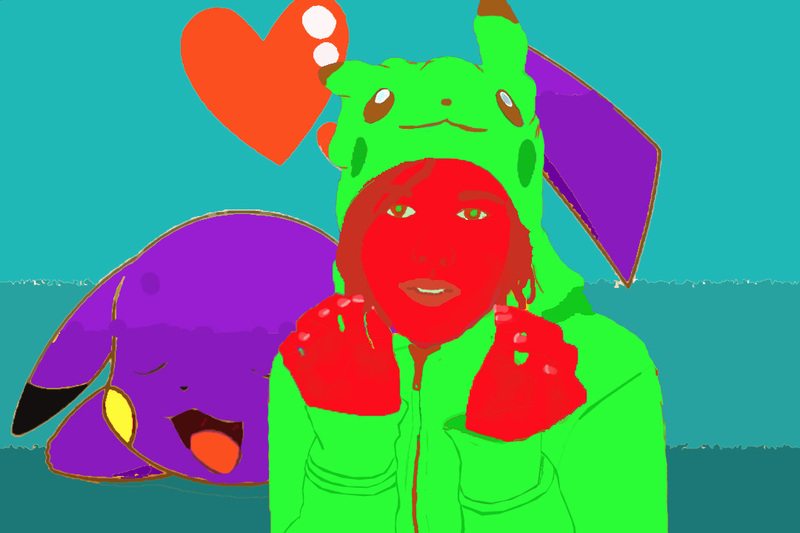 I used Intensity Red to Green for me, and Tetrad for the background. I honestly just thought that it would look quirky. But it actually looks pretty good. As you can see my background is a sleeping Pikachu! And I'm a Pikachu too!! I used many shades but not much of anything else.. Color is definitely the strongest Element! Duh. The left photo is my choice photo and the right is my double exposure. 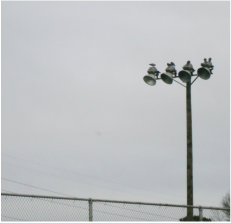 I chose the choice photo due to the birds sitting on the light pole, when I took it I didn't even notice they were up there. I chose the double exposure just because it looks almost mystical to me. I think that color was the strongest in the choice. And texture in the DE. I honestly already knew about digital photography due to my dad's friend being a digital photographer, so it was a little boring to me. As you can probably tell I put a wolf and a fox together, thus making the beautiful Folf. 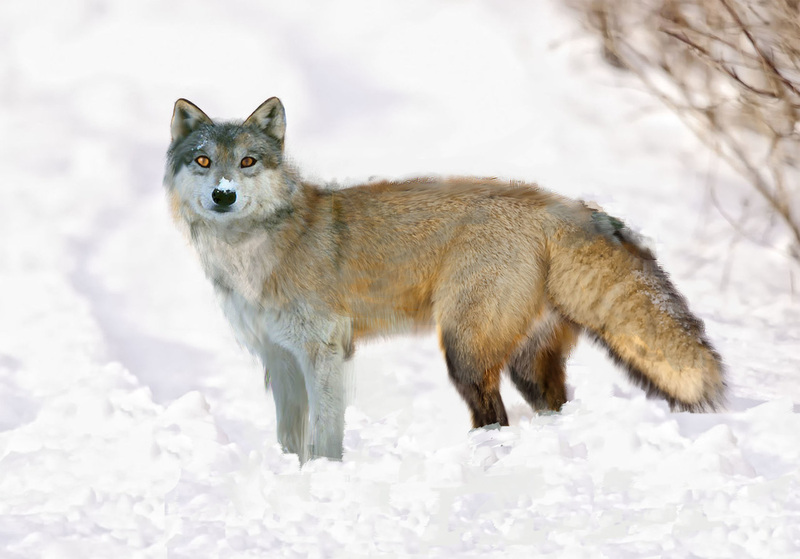 The Clone Stamp tool was a huge help in making my Folf. I believe that the strongest element in this photo is the texture of the fur. And the strongest element would be pattern. I believe that the color is the strongest element in my artwork and pattern and balance come in a tie for strongest principle. Even though it is really fun hands-on, I would have to say that making it on the computer is waaaayyy less torturous than on paper. It still made me want to throw the computer at the wall though. We learned about Escher before we started on the project. Overall I do not want to do this again. Ever. ​My Fontbot was typed with a serif font: Adobe Garamond Pro. I honestly think that the font matches my Bot very well, due to the serif effect on the k and l's. 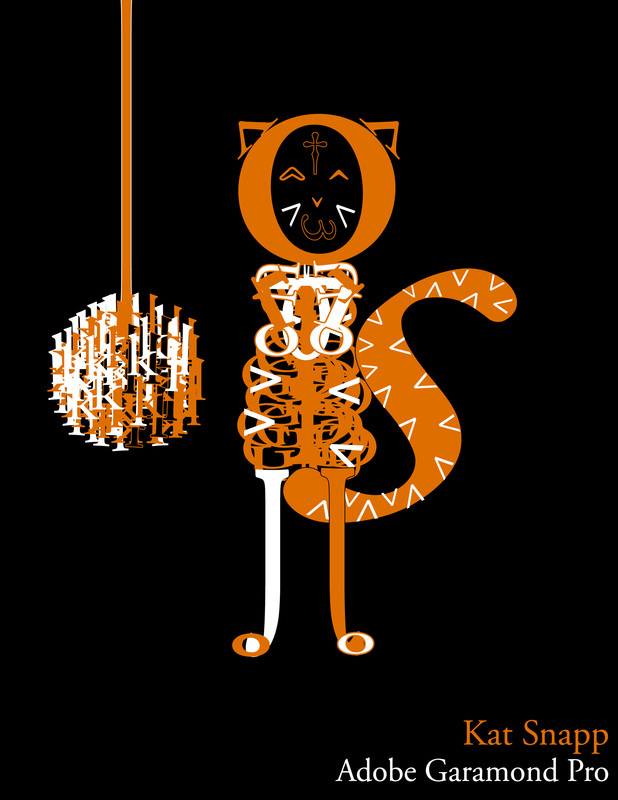 Without that effect the yarn ball would not look like a ball and the shoulders would not look like shoulders. Plus, I honestly do not like sans serif fonts all that well, especially if they are like Helvetica and not have an intricate design. While the process of making my Bot was tough I believe that it was all worth it to get exactly what I pictured in my head. As you can tell my Fontbot is a cute kitty. There is not really a back story honestly, it's just a kitty. ​My Square One Art Project is a drawing of the Pokemon Meloetta. It was kinda hard to figure out what light source went with the drawings concept. In the end I came up with the idea of glowing music notes. 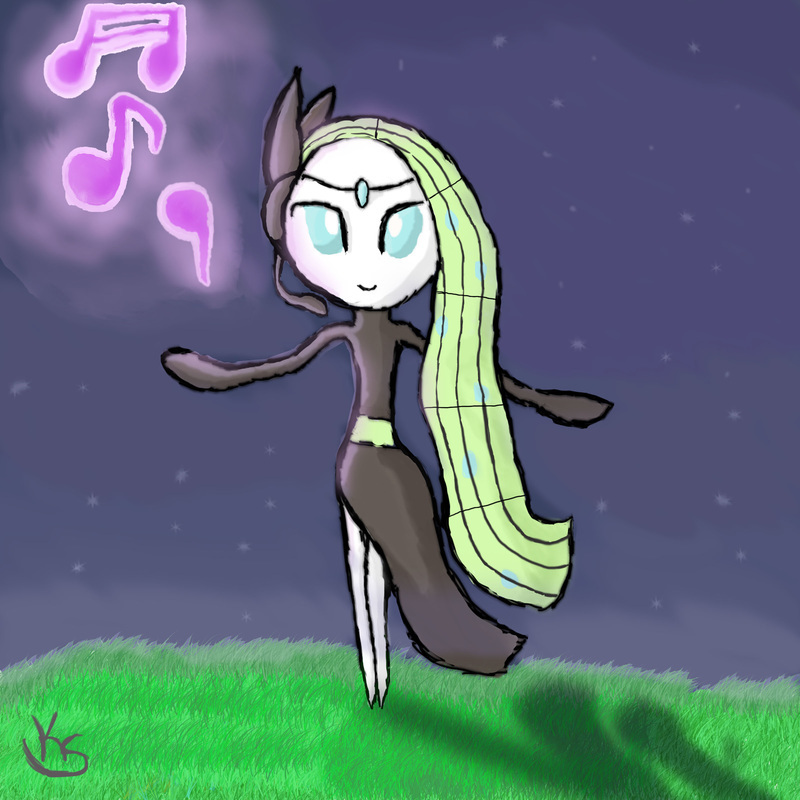 The music notes really go well with Meloetta, because she is the Melody Pokemon. This is only one of her forms, in my drawing she is in her Arial (voice) form. She has another form, her Pirouette (dance) form. I believe that Value and Balance were my strongest points in my drawing. It was also the most fun points in my drawing. In my opinion, the Wacom tablet really helped while drawing. To me the tablet is like drawing with a pencil, once you get used to it. With the tablet I can sketch a lot easier than with the mouse, its just a lot simpler to me! The criteria I used was value. Value is using different shading to show dimension on an object. I had to use a pink-ish shade for the highlights on Meloetta due to the pink glow the notes put off. This is a digital drawing of the Pokemon Gardevoir. 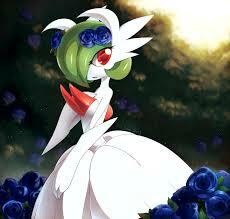 In the drawing Gardevoir is in her mega evolution form, also known as Mega Gardevoir. This drawing really captures the true elegance of Gardevoir. This drawing is actually the artwork that got me started on drawing Pokemon! The blue roses contrast the green of her hair, and the red of her eyes and the aura sensors on her chest. This contrast really makes her features "pop".